Happy 73rd Birthday Neil Young!!! Long May You Continue To Run & Run. 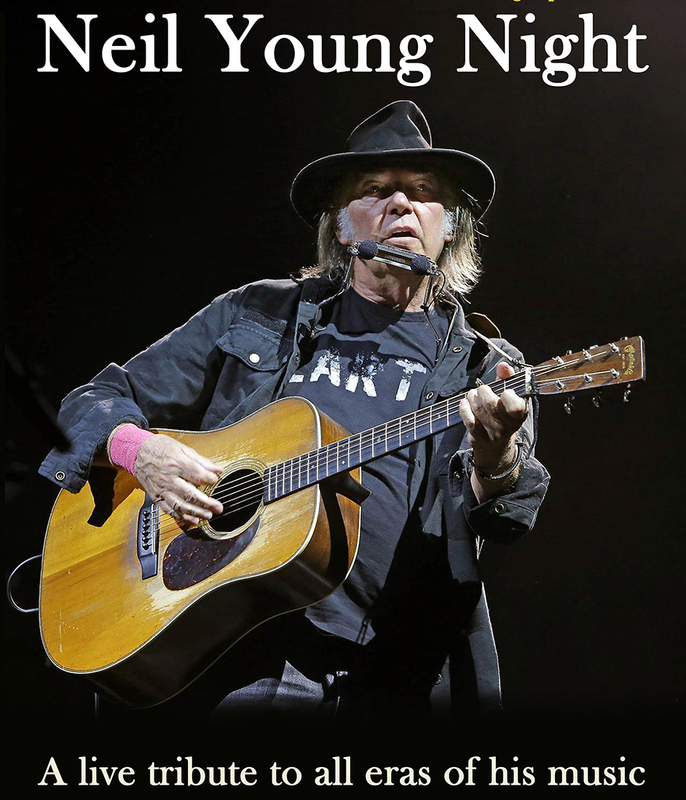 From 2015's celebration, we have an exclusive interview with author Harvey Kubernik on his new book "Neil Young - Heart of Gold". Details @ EXCLUSIVE INTERVIEW: Author Harvey Kubernik on "Neil Young - Heart of Gold" Book on WBKM.org. 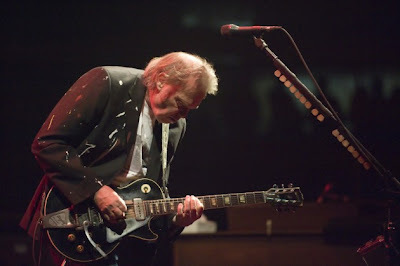 Audience sings Neil Young Happy Birthday at end of Vancouver concert, 11/11/2012. Band gives Neil birthday scarf gift. So. Looking for somewhere to go and celebrate Neil's birthday? Check Neil birthday events around the world. Long may you run. It's all just a magical ride. enjoy. 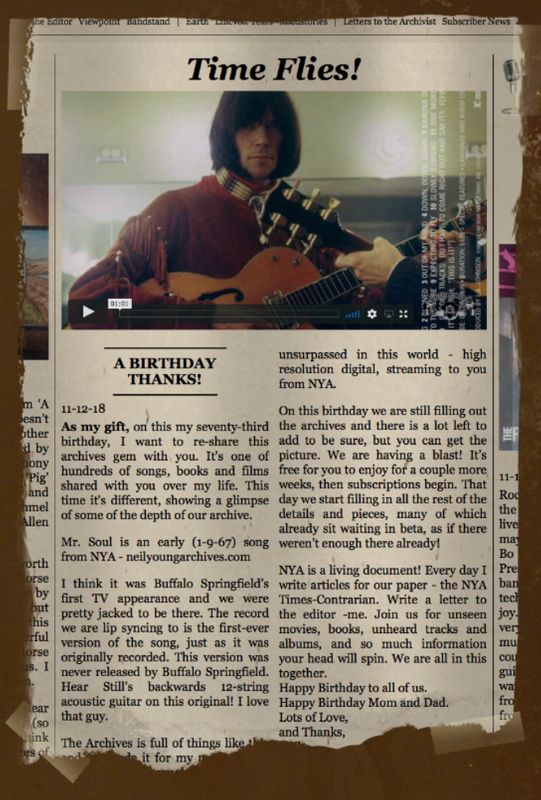 With Neil Young's 73nd birthday tomorrow, Monday, November 12th, the Tributes are rolling in from around the world! 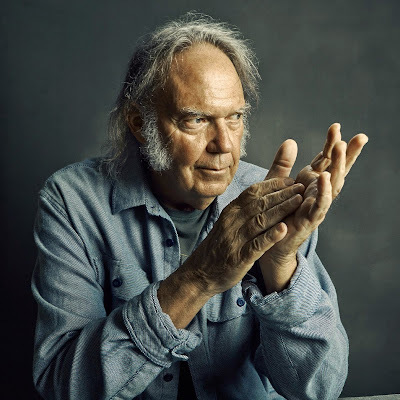 Next Monday Neil Young celebrates a Birthday! We'll celebrate a little early this weekend on All Request Saturday Night. Request lines open at 7pm sharp. Get your requests in early, we fill up fast. Thank you Veterans. Happy Birthday Shakey. Long May You Run. 73 years and still relevant. Happy birthday Neil. right, 73. thanks. time flies, as Neil says. He seems pretty upbeat for having lost a 2nd home yesterday. You just have to love the resiliency of this guy. Similar to when he lost LincVolt in a fire, he just bounces back, re-builds, and carries on. I will perform a solo acoustic set for Uncle Neil tomorrow at a local jam here in Saigon, Southern Vietnam. Your music and attitude towards life still keeps me on my feet.Thanks.Hope you had a pleasant day on your birthday.Cees. Are the archive recrdings and memorabilia in danger?